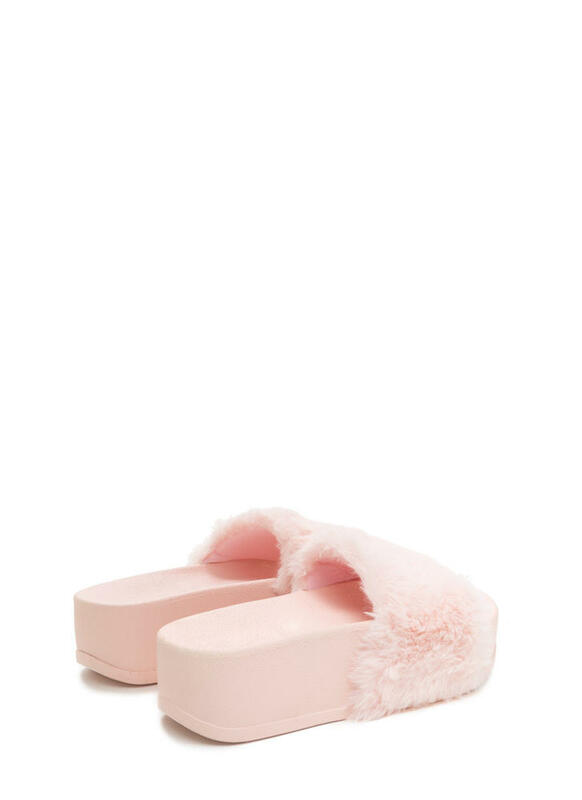 Lengthen your legs with these super easy slides! 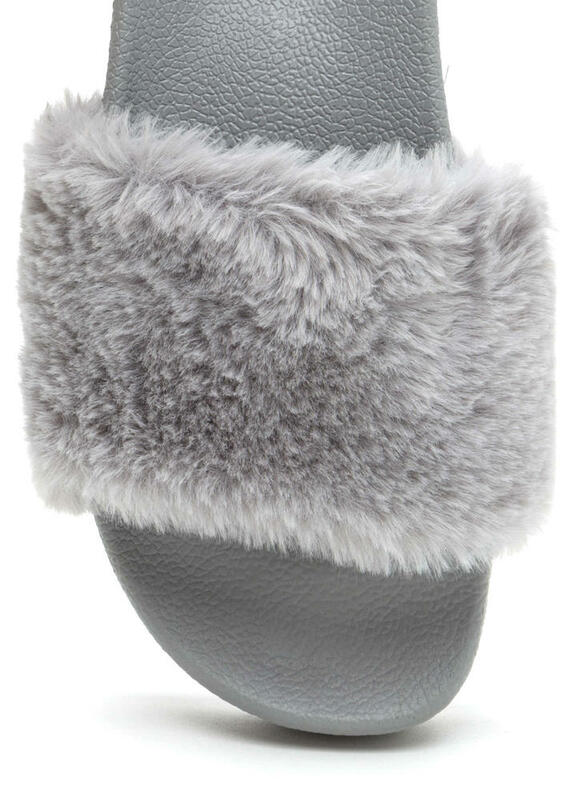 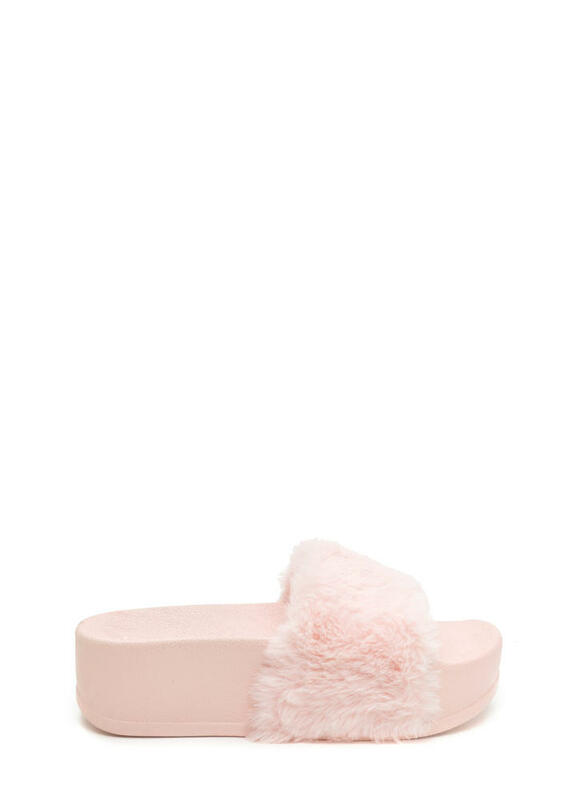 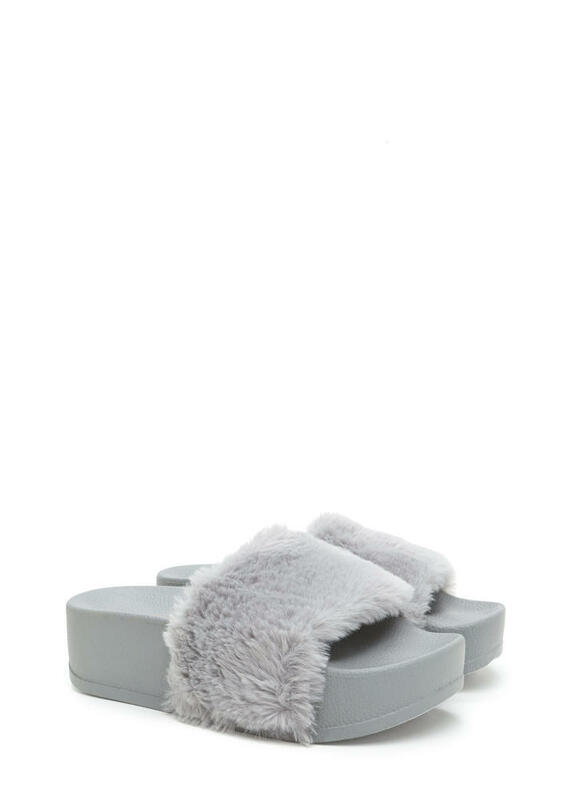 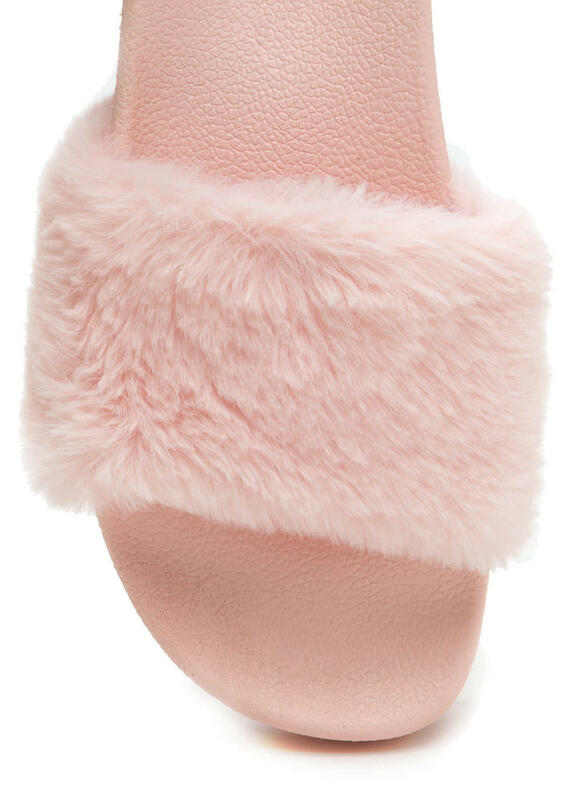 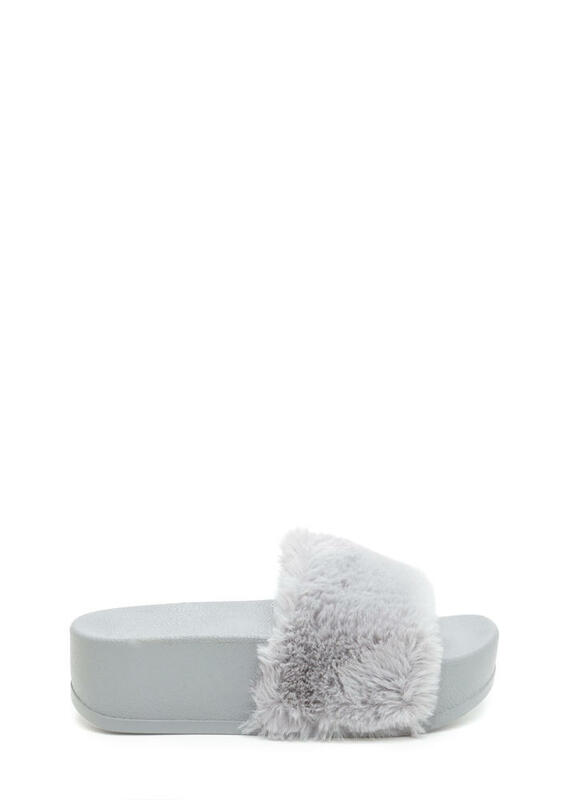 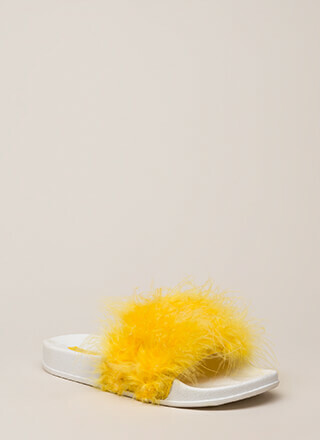 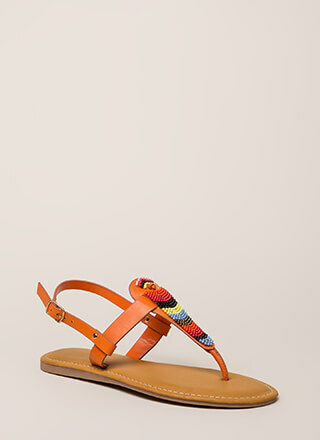 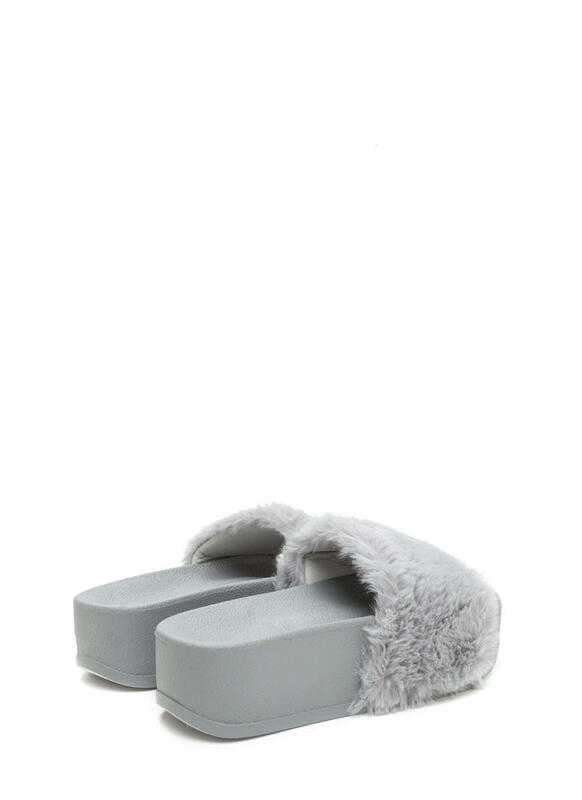 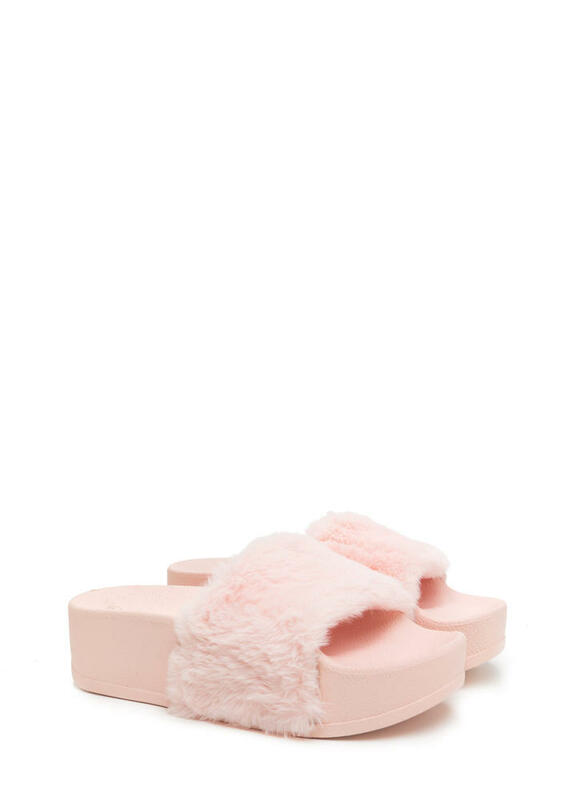 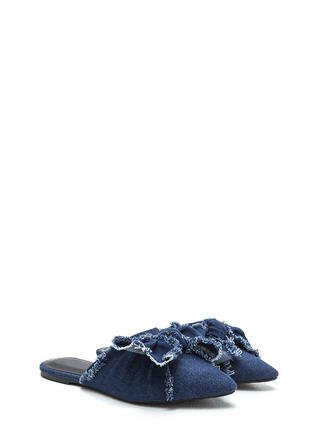 Pebbled slide sandals feature a wide, fluffy faux fur panel with a mottled design paired with a thick flatform and a molded footbed. 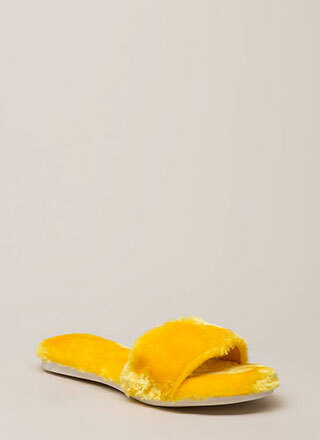 Finished with a textured sole.